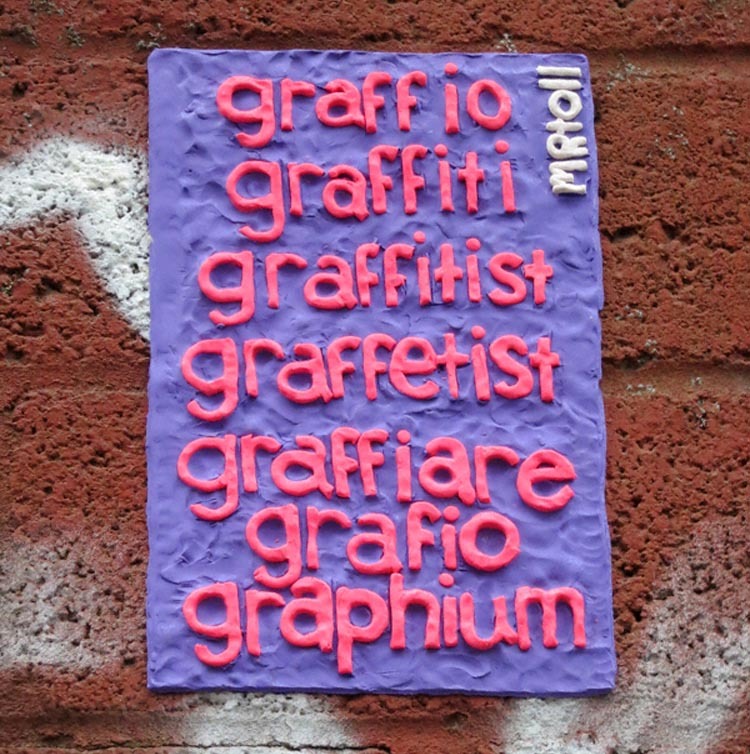 Brooklyn-based painter and street artist MRtoll has been placing his clay street sculptures and street poetry around town for the past couple of years. These brightly colored clay works include everything from humorous word conjugation-like panels (my favorites) to emoticons and more illustrative pieces such as fried eggs, feathery birds, skulls and more. From the looks of his tumblr, the childlike quality of some of these may be toddler-inspired. 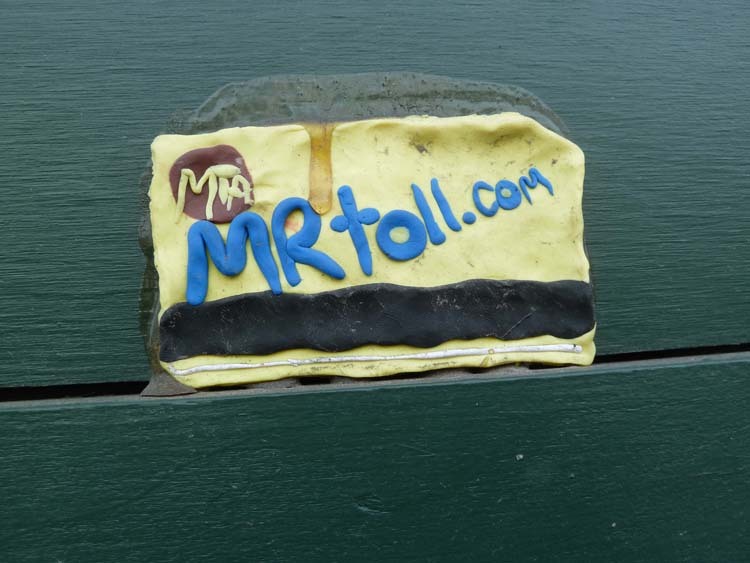 Photos: newyorkshitty; according2g; hragv’s flickr; saatchionline; and mrtoll. 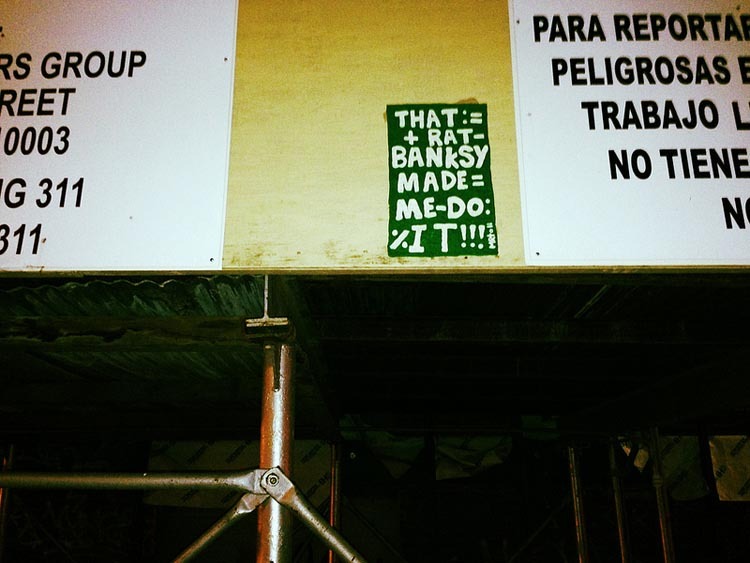 This entry was posted in Art, Fun, Pop Culture, Street Art. Bookmark the permalink.